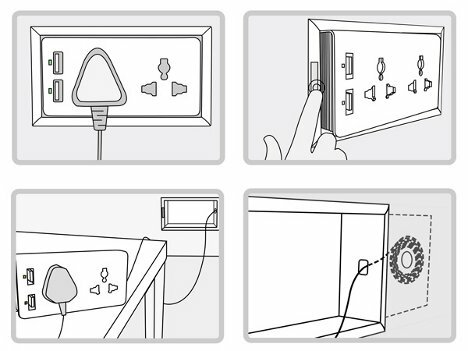 The Free Socket concept would forever free us from the hassle of finding an extension cord. The design, created by a team from East China Normal University, was an entry in the 2012 iF Design Talents competition. Simply put, it is a wall outlet that pops out from the wall and is attached to a long, retractable cord. When users need to plug something in that just won’t reach all the way to the wall outlet, they can simply take the outlet out of the wall and stretch it to the most convenient spot. 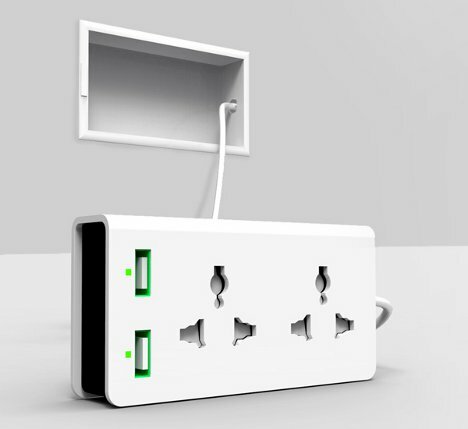 Like many other modern wall socket designs, the Free Socket features USB ports as well as electrical outlets. But unlike any other wall socket ever, the Free Socket is not permanently stuck in a hole in the wall. Its retractable cord sits on a spool just behind the wall and to the side of the socket’s mounting place. As with any gadget, the more moving parts are involved the greater the potential for mishaps. We’re envisioning a lot of electrical fires due to old and frayed retracting cords if this concept ever became reality. Nevertheless, it’s a clever idea that approaches a problem from a unique perspective. See more in Unbuilt Concepts or under Technology. November, 2012.